Join us on Friday, February 26 and be the first to meet the All American Chefs. They will be introduced at a special invitation only event in the Lounge at Wit and Wisdom Restaurant / Four Seasons Hotel Baltimore. Members of the media are invited at 5:45 to meet with Wit and Wisdom Chef Zach Mills, chair of the All American Chefs and other participating chefs along with officials from MADE: In America, the Washington based non-profit organization sponsoring the group. The event will begin at 6pm with the official announcement Followed by brief remarks at 6:30pm. Guests will enjoy a preview of an American Treasures Culinary Experience with a special tasting created by chef Zach Mills. The All American Chefs, among the best in the Nation, are dedicated to working with MADE: In America to identify American farmers, foragers and craft producers making singular contributions to America’s food ways. The chefs feature them in their signature American Treasures Culinary Experiences. 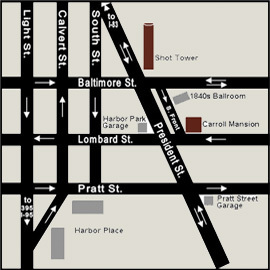 Since its inception in 2009, the American Treasures Culinary program has recognized dozens of awardees who will be featured in a series of events taking place as part of the citywide Baltimore’s American Treasures events from April 28 through July 10, 2016. 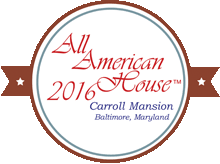 The epicenter of the citywide Baltimore’s American treasures events and site of the first culinary experience will be Carroll Mansion, designated the All American House/2016.